Today, email continues to be the leading digital channel by which brands and organizations communicate with their customers. In an ever changing digital landscape, tablets and smartphones have made it easier for people to check their emails anywhere, all the time. According to a Radicati Group study, there were an estimated 2.5 billion email users in the world last year, with that number estimated to increase to nearly 3 billion by 2019. Despite email being a critical way for businesses to connect with their customers, commercial email may not always successfully land in the inbox let alone achieve its intended result of being opened, let alone read. In this post, we’re going to look at why your emails aren’t being delivered and how we can ensure they successfully make it into subscriber inboxes. One of the most common problems is that the email isn’t being delivered to the main inbox folder, but rather, to a promotions or spam/junk folder. While some may think it’s great that email has landed in the promotions tab (at least it’s delivered! ), the truth is that an overwhelming majority (99%) of people don’t click to the promotions tab and read emails there, or do so only infrequently. 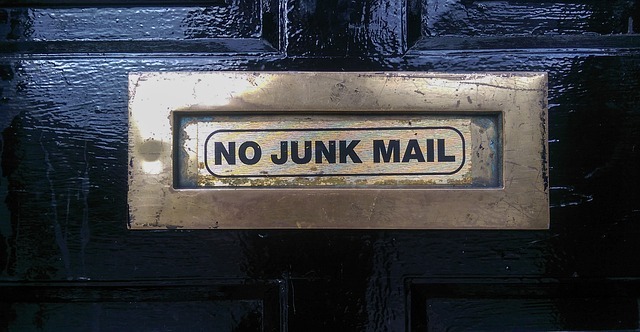 Worst of all, your email could land in a spam or junk folder, where it may never see the light of day. Today, the major Internet Service Providers (ISPs) that host email accounts (such as Google, Yahoo, Comcast, and Microsoft) look at different engagement factors in your email to determine whether it looks like spam or is being ignored completely. These engagement factors can affect your reputation as a sender of email, as well as your inbox placement. To ensure your email doesn’t contain elements that send it to the promotions or spa/junk folders, optimize your messages with powerful subject lines, personalized greetings, and contextual content. This includes using merge tags to address subscribers by their names and crafting copy that sounds more conversational and relevant to who your subscribers are. The servers sending your email each have what is known as an IP address, a numerical point of origin on the Internet. The reputation of an IP address also contributes to your email’s deliverability. Filters at major ISPs block email sent from IP addresses known to be transmitting phishy, offensive or illegal content. Sites and servers involved with malware and explicit content are blocked by such filters. These ISP filters exist to protect account holders from spam and fraud. Depending on your ESP, your email might be sent from servers shared by other senders, and those other companies may nor may not be legally or reputably transmitting email. If you know you’re on a shared server and wondering if other senders are negatively impacting your ability to get mail delivered, ask your ESP who is sharing your server/IP address block, or ask to be moved. Better yet, get your own dedicated IP address(es) or servers and avoid the problem of running in bad company altogether. Build trust and establish a positive reputation with ISPs by sending messages to subscribers who want or have specifically requested your email. Be sure to keep a record of the subscribe process, and ideally, practice direct (a subscriber voluntarily gives you an email address and the permission to send to it) vs. implied (you obtain an email address and assume permission to send to it) consent. ISPs need to ensure that your emails aren’t phishy. Create emails that are valuable and send them to email lists that are relevant to tell filters that you are trustworthy. In addition, check your sender reputation with online tools to see if ISPs are rejecting emails coming from you. When was the last time you updated your email list or attempted to? a month? last quarter? A year? Chances are, your email is no longer relevant for a decent percentage of your subscribers, their email addresses have changed, or some mix. If your emails are being sent to an outdated list, they’ll generate unsubscribes, spam complaints, or even bounces. These factors will affect your deliverability rate, which can affect your reputation with email service providers. To ensure you’re sending to the right people, routinely conduct email list hygiene. Remember to remove any email addresses from your list that are bouncing as permanently undeliverable because the account has been closed or no longer exists (known as “hard bounces”). Use email hygiene and change of address services to find new email addresses for those hard bounces. Are you sending your emails on a consistent schedule? If you’re sending your email campaigns sporadically and randomly, this can lower your sender score and affect your reputation. Not only will this affect your deliverability, but it also affects email open and click-through rates. If you’re sending your emails too frequently, your subscribers may mark your email as spam or directly move them to the trash without opening. On the contrary, if your emails aren’t being sent often enough, subscribers may not remember you and trash your messages once they finally arrive. It’s important that you send to your subscribers on a consistent schedule, at least often enough that they have brand/company recall when you show up in the inbox. Email marketing continues to be an important way for businesses to maintain and build relationships with potential and current customers. However, it’s only effective if your carefully crafted messages are being successfully delivered to subscriber inboxes. Remember to create powerful subject lines, write meaningful and personalized content, and build a trustworthy reputation for your company’s marketing email programs. What else are you doing to ensure good deliverability? Share it with us in the comments below. Great article, Karen! Thank you for sharing. You told about the most important factors that affect email deliverability. All of them are under a sender’s control. But sometimes it can be difficult to find out why the email is filtered to a spam or junk folder. At this point, testing can help. There is a lot of elements of the email that affect email deliverability and should be tested. The number of links and images, email footers, templates, email tone, sending domain and name can make a difference to where the email is delivered: to the Inbox or spam folder. All these things should be tested on a regular basis for the email campaigns to produce high open rates and conversions.